Contests, Boards, and Pi! Oh My! 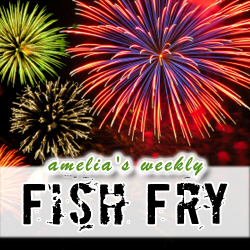 This week’s Fish Fry is brought to you by you. Yes, you. The DSP dude. The Coder chick. The Analog Grand Master. We’re celebrating engineers in all shapes, sizes, and process nodes. With National Engineers Week just around the corner, my guest this week is Tamara Jurgenson (Newark element14), and we’re gonna chat about Newark element14’s month-long engineering party.